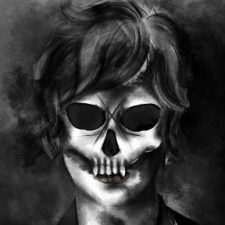 The most recent horror, scary stories, and creepypasta releases from Dr. Creepen, presented by Chilling Tales for Dark Nights. Story teller and creepypasta narrator as of December, 2015. Am I the best horror narrator on YouTube? Haha… I don’t think so, but I do try my best to deliver a good story to you every Monday, Wednesday and Friday. Impassioned and haunting narrations of the finest Creepy Pasta stories, for your listening pleasure. I’m English and my voice is most often likened to Benedict Cumberbatch, which is actually pretty cool. As far as a mission statement is concerned, here’s my ‘ethos’: People put a lot of time and effort, not to mention their heart and soul, into writing stories. Consequently, I’ll do the best job I can to interpret them in spoken form. Also, people seem to like listening to me talking about murders and ghosts and stuff; consequently, I try to assuage people’s hunger for such on this channel. What I can promise is that you’ll be hearing stuff you can’t find elsewhere.